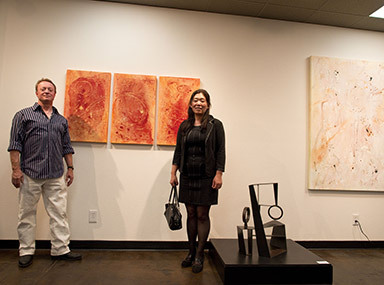 Lou Bermingham and his paintings "Red Gold," and "Palazzo," and Yu Jean Choi and one of her sculptures in their joint exhibit. Opening Night. 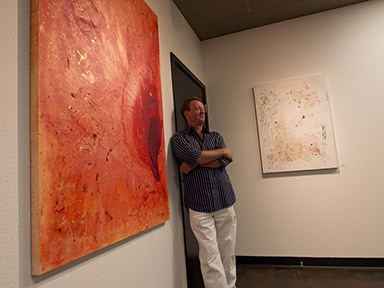 Paintings "Red Gold," and "Palazzo," and a sculpture by San Francisco artist, Yu Jean Choi. 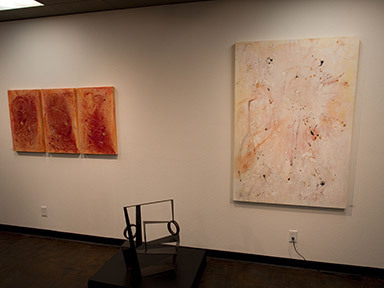 Left to right: "Dragonwheel", "Demeter's Moon 1 and 2" and "Jupiter". 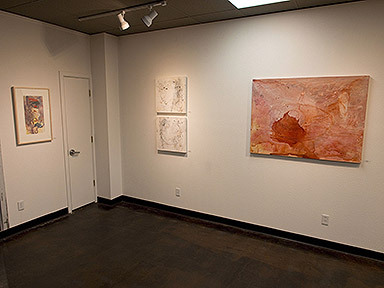 Lou and "Sacred Flower" and "Amphora I".